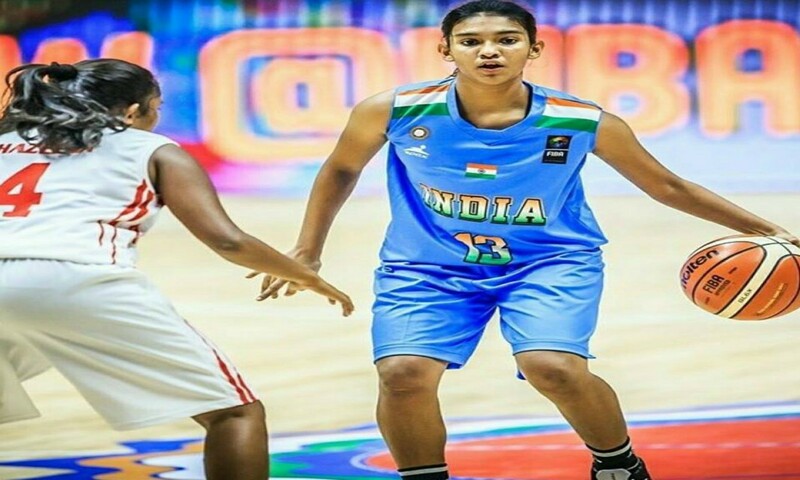 Karnataka: Considered to be a champion player in making, Grishma Niranjan from Karnataka has been in the news for her recent impressive performances during NBA India Academy’s youth programme. Grishma who started playing basketball when she was studying in standard sixth soon realized her potential and started put more focus on the game. In an interview given to an online portal, Niranjana reveals about her journey in the field of basketball, her aspirations and more. After making into theIndian u 16 team in 2017, Grishma failed to make a comeback into the national team in 2018. Grishma in the interview says that after being dropped from the national squad in 2018, she started to doubt herself but she soon got back into the track after being awarded with the best shooter award in the NBA camp held in India. Grishma will be now heading to Florida on April 19th. Talking about her mental preparation for the game, Grishma tells in the interview that whenever she has a bad game , she sit alone , avoid talking to people and work to fix the mistakes she has done in the previous match. Grishma also acknowledged her family’s support for her success. She said that her family never discouraged her in pursuing a career in basketball. Grishma says that Skyler Kierra of WNBA is the player she looks upon. Grishma admires Skylar’s leadership qualities and her ability to bring the game together. Grishma also thanked her coach- who she says was a big inspiration from the start of her playing days. On her views about women in sports , Grishma feels that women in India aren’t recognized much and to become a respected female athlete or sports person is a steep task in this country. Grishma stresses in the interview that women are equally passionate about sports just like men and urge every aspiring female sports person to fight through the discrimination. A very determined and focused player on the court, Grishma has major target in life outside basketball as she is feels she could contribute a lot to the society and aspires to become an IPS officer so that she could make a change.